Zetasizers are the most widely used systems for Nano technology measurements for colloids, protein size and molecular weight. The Series includes a range of models which enables analysts to select the best system for their applications and budget. 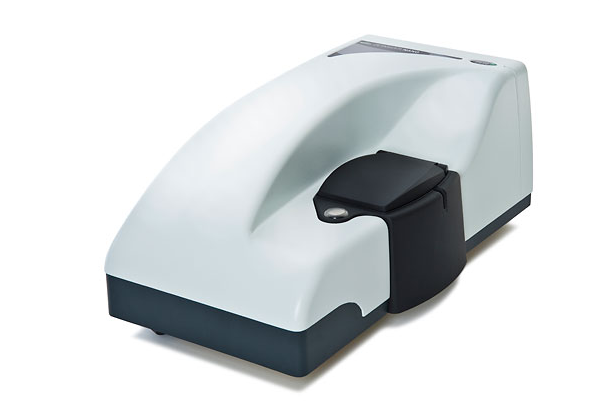 The Malvern Zetasizer Nano ZS makes the sizing of nano particles extremely simple, rapid,repeatable and non-destructive. This compact and versatile instrument enables high sensitivity nanoparticle characterisation and combines the measurement techniques of Dynamic Light Scattering, Static Light Scattering and Electrophoresis. Dynamic Light Scattering (DLS) determines size by measuring the Brownian movement of particles or molecules in a solvent or buffer. This diffusion speed is converted into a size distribution using the Stokes-Einstein relationship. Static Light Scattering is used to determine the molecular weight and the second virial coefficient which provides a measure of protein solubility. Micro-electrophoresis is used to measure the Zeta potential of dispersions and surfaces. Dynamic Light Scattering (DLS) using Non-Invasive Back Scatter technology to give the highest sensitivity for the measurement of particle and molecule size. It also measures the microrheology of dilute polymer and protein solutions and protein melting points with the temperature ramping feature. Micro-electrophoresis combined with Phase Analysis Light Scattering (M3-PALS) is used to measure both the zeta potential of dispersions and surface zeta potential. Static Light Scattering is used to determine the molecular weight of proteins and polymers and the second virial coefficient which provides a measure of protein solubility. Patented Non-Invasive Backscatter (NIBS) optics provides exceptional sensitivity to enable measurement of small (down to 980Da) molecules and samples at very low or high concentrations without dilution (0.1ppm to 40%w/v). Shorten development time for emulsions and dispersion of nanoparticles, liposomes, colloids and protein and polymer formulations. 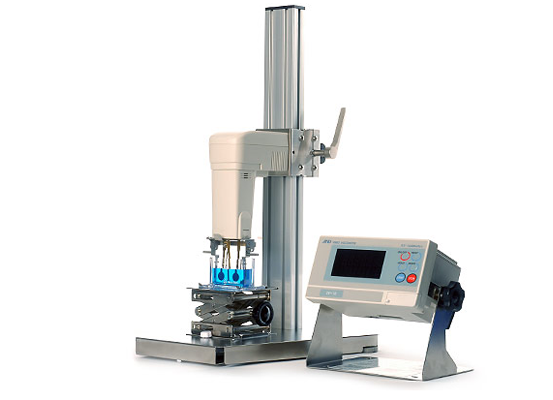 Automated sample delivery system for particle size measurement. 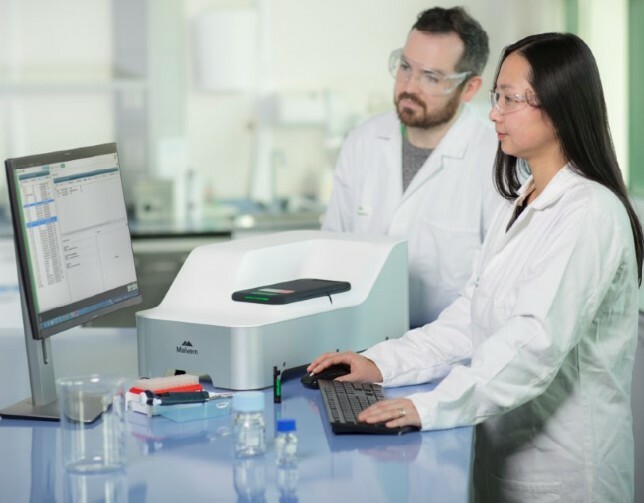 Automates the measurement of size and zeta potential as a function of pH, conductivity or additive. Measures viscosity for the conversion of diffusion speed to size, and electrophoretic mobility to zeta potential. This enables the measurement of the zeta potential with little or no sample dilution. The cell has a flow configuration so can be used for stop-flow size and zeta potential measurements using an MPT-2 autotitrator. 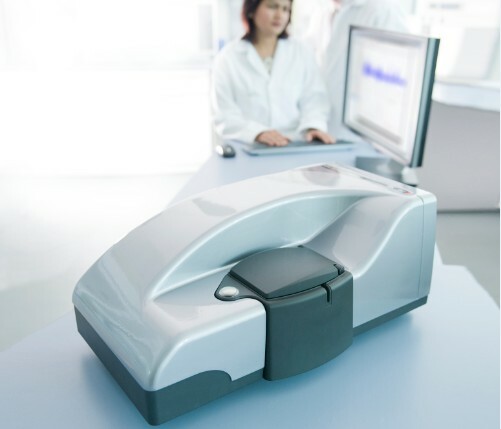 The surface zeta potential accessory enables the measurement of the zeta potential of flat surfaces such as filter paper, silica, polymers and bone. 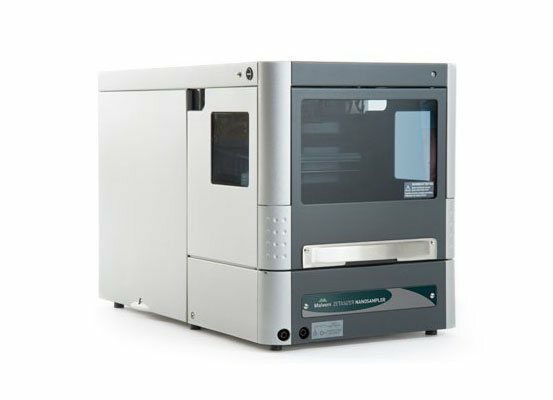 Eliminates sample cross contamination between zeta potential measurements. 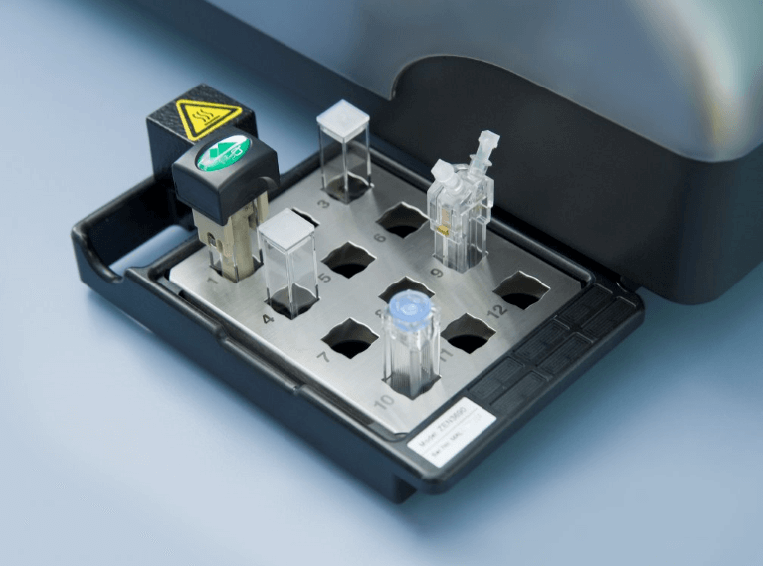 This provides the accuracy of a capillary cell with the ease of use of a disposable cell. For low conductivity samples each cell can be used for hundreds of measurements.The cell can be used with the autotitrator. Flow mode: Converts the system to a chromatography size detector for SEC or FFF. 21CFR part 11: software option to enable compliance with ER/ES. Research software: Additional features and analysis algorithms for the specialist.